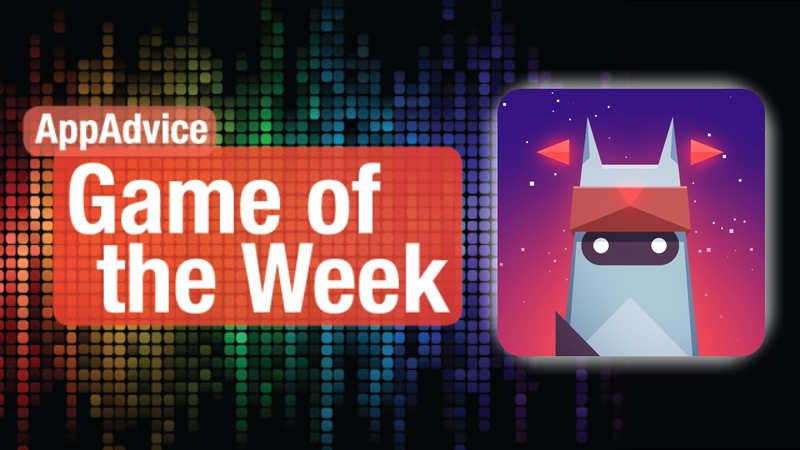 Explore a lush world filled with harmonious tunes in our Game of the Week. Looking for a game that will help you kick back and relax this weekend? Then you have to check out our Game of the Week, Adventures of Poco Eco – Lost Sounds by Possible Games. If you enjoy a beautiful, artistic visual style in your video games, then Lost Sounds is what you want. The art is a bit reminiscent of Monument Valley, but not as “Escheresque.” Regardless, the visuals here are stunningly gorgeous, as it features lush 3-D stages and environments that are all carefully thought out. The game is made up of basic geometric shapes, but everything’s textured and detailed, with smooth animations that breath life into everything on the screen. Another major focus in Lost Sounds is the music, which is composed by Iamyank and can be classified as “dreamy electronic.” The game is a harmonious blend of art and sound, and the exploration aspect of the title leads to interacting with the surroundings, which add to the soundscape. Each area has its own unique track, and everything just blends together perfectly as you restore the sounds to each totem. As an added bonus to the purchase of the game, the developers are giving away free copies of the soundtrack, which is worth the price of the game alone. The game itself is both relaxing and stimulating. You control Poco Eco, who sets out on a journey to restore the sound to the totems of the land. A red fairy will help guide you along the way, showing you where you need to go. Controls are simple with a tap-to-move scheme, but the camera does zoom in or out depending on the view, which can make it a tad difficult to see at times. There are puzzles to solve in order to advance in a stage, but they won’t be too difficult, so the game is great for everyone. 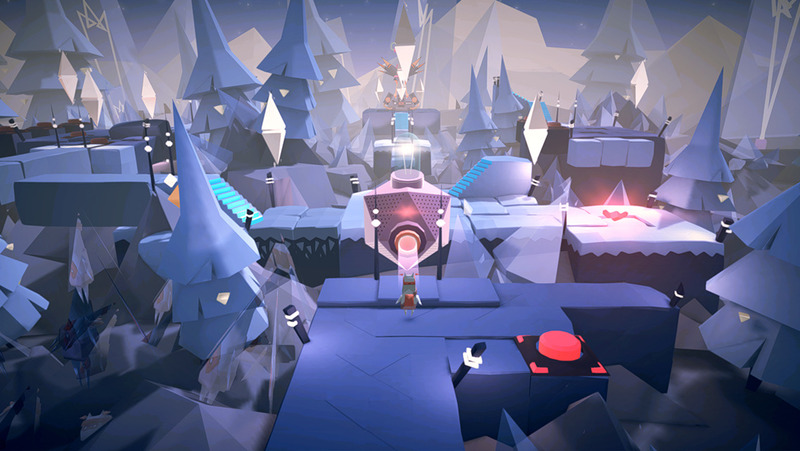 We always love a gorgeous new puzzle game, and Lost Sounds takes the cake this week. If you’re a fan of exquisite looking games with a great soundtrack and simple but unique concept, then look no further than this one. 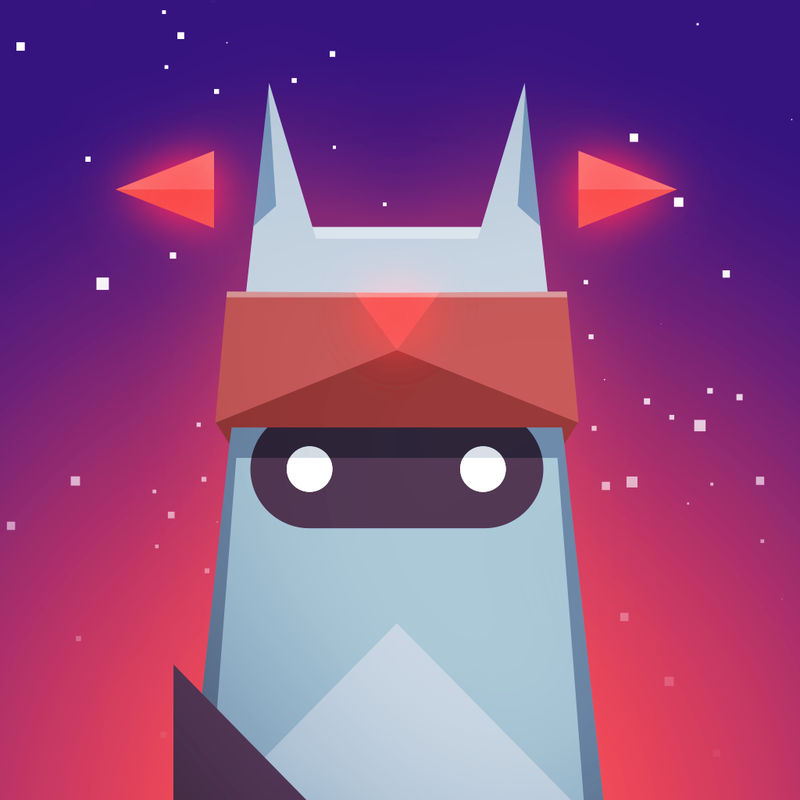 You can get Adventures of Poco Eco – Lost Sounds on the App Store as a universal app for $2.99. Fore more about Lost Sounds, make sure to check my full review. Your finger is your strongest weapon yet greatest weakness in t his challenging arcade shooter. In the mood for something a bit more challenging and fast-paced? Then you should give our Honorable Mention, Magenta Arcade by Long Hat House. This is an arcade bullet hell shoot-em-up (shmup) with a special twist. If you’ve played any bullet hell shmup game in the past, then you should realize that on a touch screen, you can end up covering your ship or most of the screen by having your finger on top of it or near it. In Magenta Arcade, things are a bit different — your finger is the ship. But things don’t just stop there, because the little people that are underneath the glass of your device think that your finger is a god, able to grant their wishes. That is, until Ivo Magenta made his last wish and is set on bringing you down and exposing to the others that even gods have weaknesses. The game is filled with fantastic, retro 16-bit graphics that are sure to delight those who grew up with the classic consoles. While there are only six different levels, each environment is distinctive from the rest, and filled with a lot of detail. Despite only having six levels, don’t be fooled — the game can be ridiculously hard. There are also different challenges that will appear throughout a level, keeping things fresh and interesting. Since your finger is the ship, all you have to do is place your finger anywhere on the screen to begin shooting with your basic attack. 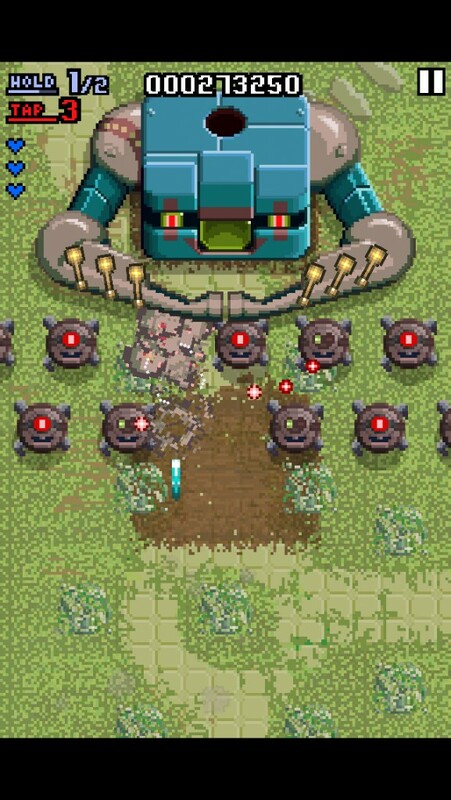 Collecting power-ups allows you to tap on the screen to unleash a stronger attack, though it’s limited in ammo. If you release your finger from the screen, you will temporarily disappear, which is a great way to evade incoming hits. If you do well enough on the challenges and complete levels, you can earn random stat upgrades, which are useful against boss battles. We always love a good arcade shooter, and Magenta Arcade fits the bill this week. If you enjoy challenging shoot-em-up games, then give this one a try. 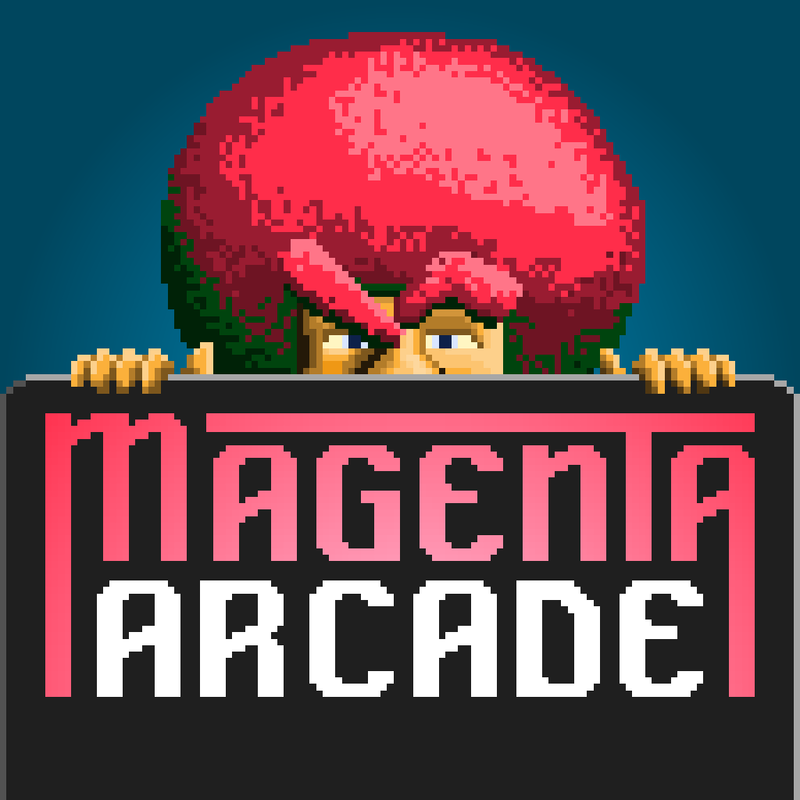 You can get Magenta Arcade on the App Store as a universal download for $1.99. For a closer look at Magenta Arcade, don’t forget to check my original review.